Back in August I was doing some simplex D-Star and D-RATs testing with Greg, VA3OMP on 145.67MHz. 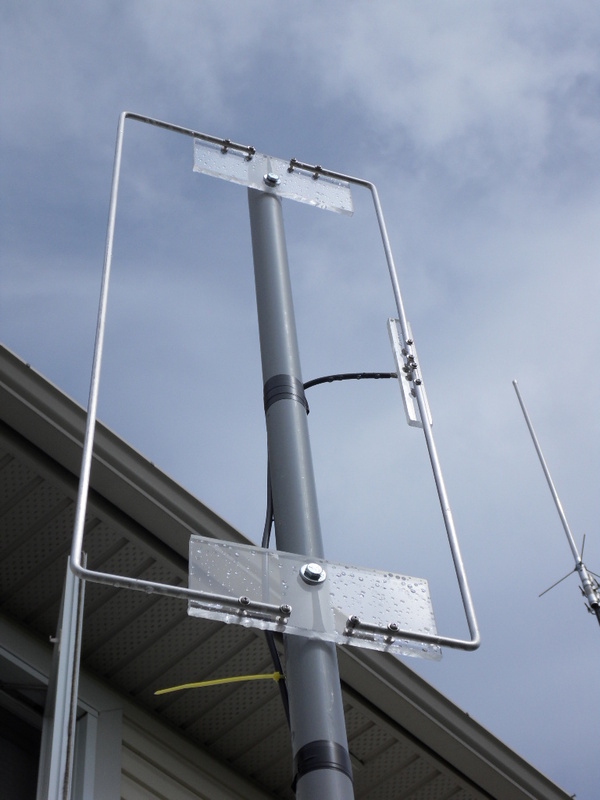 He lives in the West part of Ottawa in Kanata and I live in the South in Greely so to improve the link between us Greg constructed a 2m Moxon. The antenna is built out of solid aluminium rod and as you can see he put some craftsmanship into building it. Greg kindly agreed that I could post the pictures and details here. 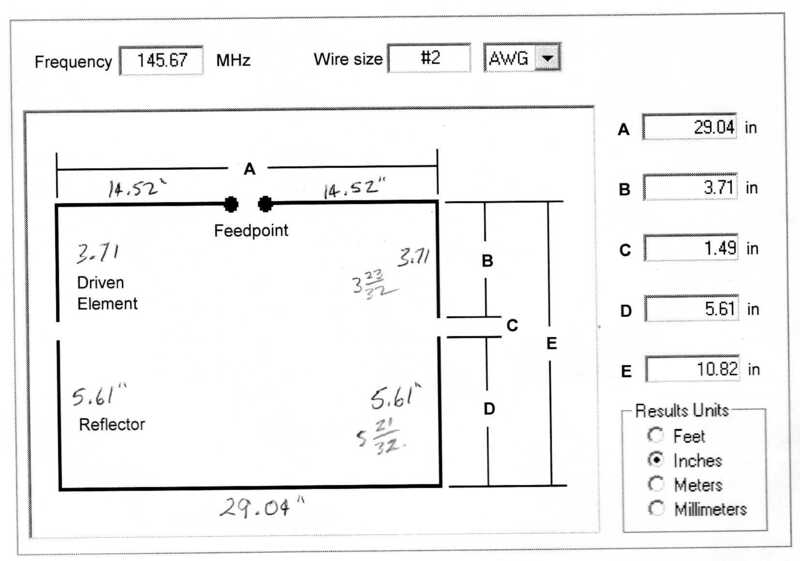 To determine the measurements Greg used the design program at the Moxon antenna project website. Here are the dimensions. 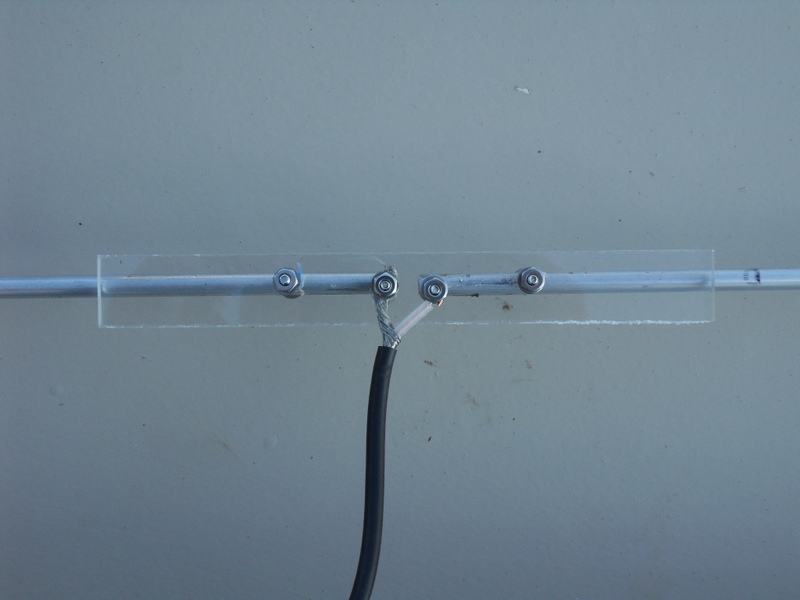 Greg reported the built antenna had an SWR of 1.6 :1 at the design frequency. Here are set of pictures showing the construction. Thanks to Greg, VA3OMP, for supplying and sharing his photographs and construction details. All photographs are copyright to Greg Speakman, VA3OMP. Very nice. Greg did a bang up job. 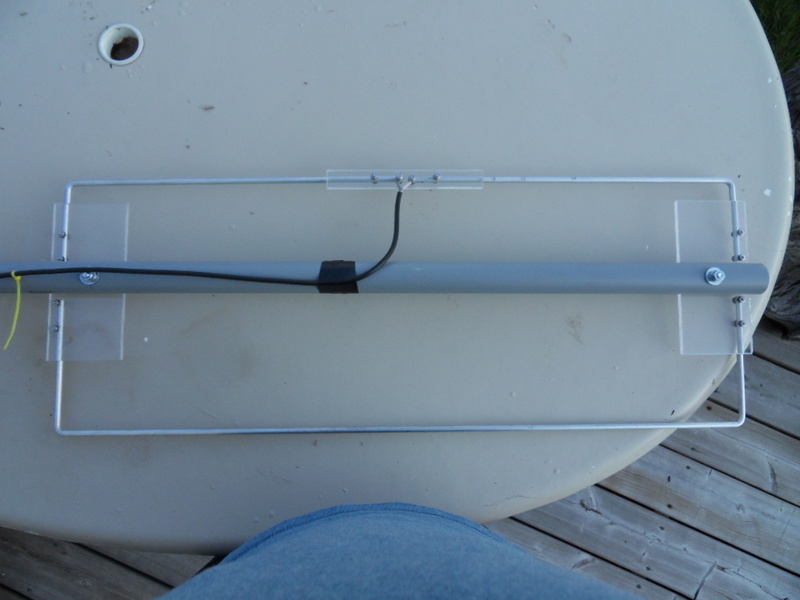 I was just thinking that it was time I put up a simple antenna for 2 meters. Thanks for the reminder of this design. I had thought about it and did a bit research on Moxon’s earlier this summer but had forgotten about the design. Looks like an easy weekend project. 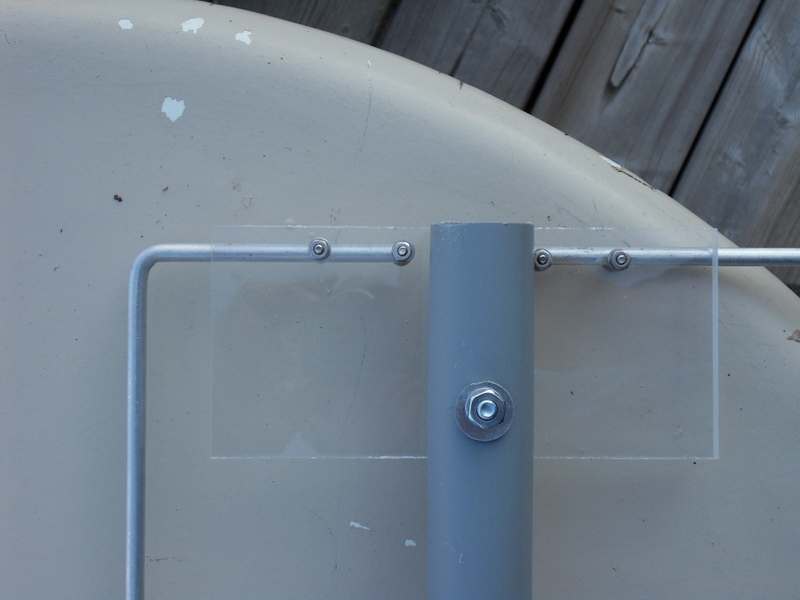 Yes I agree Greg’s antenna is nicely built. He uses a metal bender to get those crisp corners. If you build a Moxon let us know how you get on, with either a comment or a photograph or two. Very nice craftsmanship! 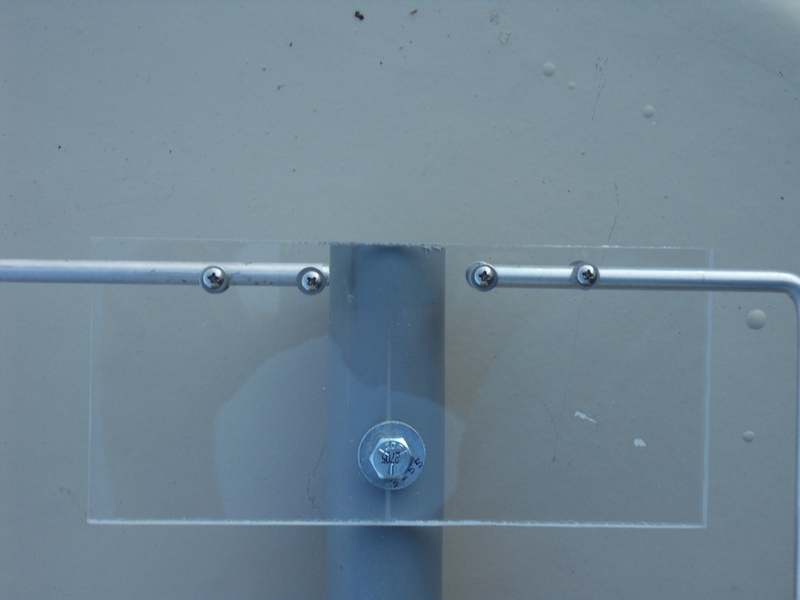 With regard to the bolts which attach the aluminium rods to the plexiglas: Do these bolts actually go through the centre of the rods or just to the side of them? I can’t quite tell from the photos.